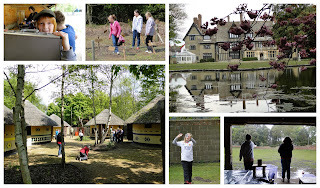 Whilst many of the Year 6 children were having their African Adventure, the remaining children in Years 4, 5 & 6 spent the week working on a variety of activities relating to 'smoothies'. 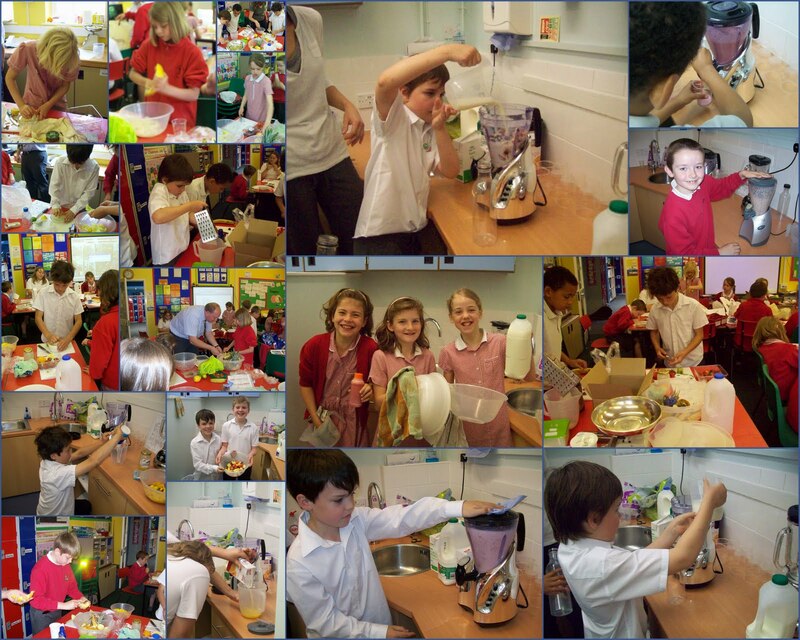 DAY 1: The children tasted 7 different smoothies and had to try to work out what the ingredients might be. They also looked at describing the colours (I particularly liked 'muddy pig pink' and 'scorched wheat yellow') and checking the actual contents of every smoothie. DAY 2: Today's activities mainly revolved around maths (measuring the cartons and making a 'net' of their own carton) and art & design (planning and creating the designs for their carton). Once the designs, complete with company logo had been completed, the nets were then put together to create a carton. Some children then decided to push their designs a little further by adding a spout with a screw on cap for pouring. 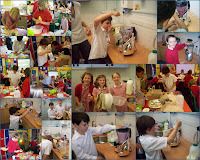 DAY 3: Having meticulously planned the ingredients they were going to use for their own smoothie, the children were involved in a day of activities revolving around recipes. The children looked at a range of examples (some good, some not so good) to help create a checklist for 'What makes an effective recipe?' 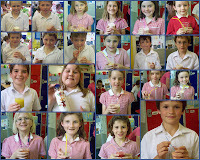 Having planned their recipe thoroughly, every child then completed a final version to be followed the next day. DAY 4: The children arrived looking like they'd just won a trolley dash in the local greengrocers. Fruits of all shapes and sizes were on show along with a range of milks and juices. 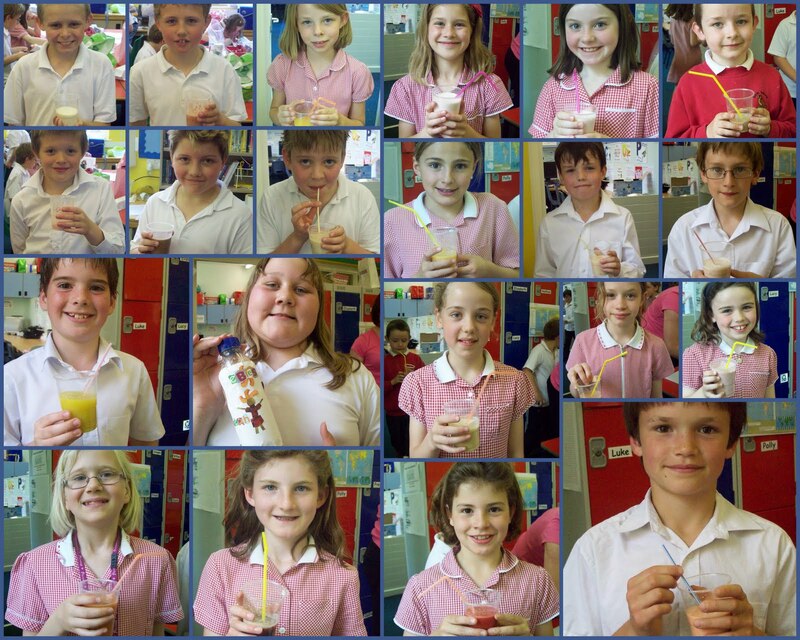 The fruit was prepared, following the recipes and with a whizz or too of the blender, glorious smoothies were created. 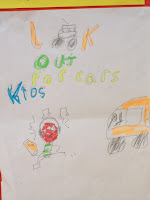 They were very good as could clearly be seen by the surrounding areas of many children's mouths! 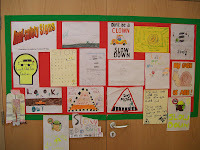 DAY 5: To finish off, children worked on creating an advertising 'jingle' for their product. They also worked on compiling the data from the taste test and representing it through pictograms. Following last night's "talent" show (the less said the better!) we retired to the African Village for a night in the huts. Earlier in the day we had all taken our sleeping bags, pyjamas and cuddly toys from our rooms in the Hall to the village. 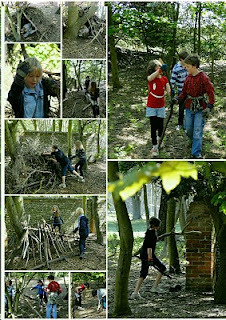 The children soon settled down to sleep and the staff headed into their own huts to sleep. 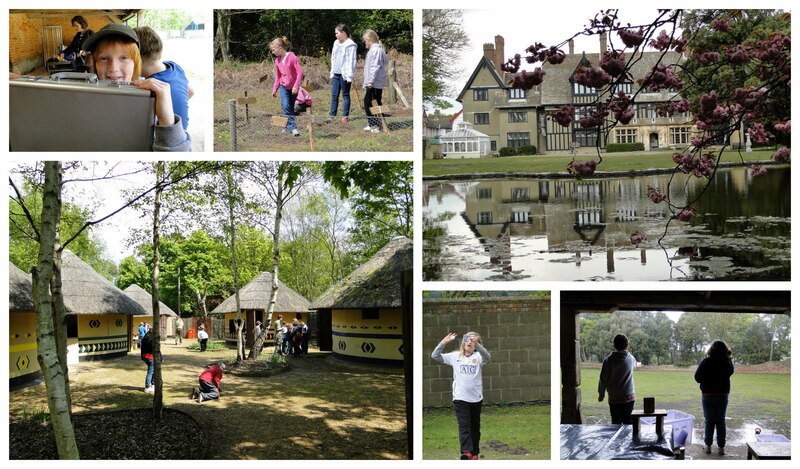 All was quiet in the village, except the male staff hut which reverberated to the sounds of Mr Pearce's snoring! We awoke this morning to a beautiful Spring day. The sound of birdsong permeated the air and the sun streamed in through the trees. After returning to the hall for showers and breakfast we set off to the beach to solve our final, but perhaps most important problem - cleaning the water we delivered to the village so that it was fit for drinking. 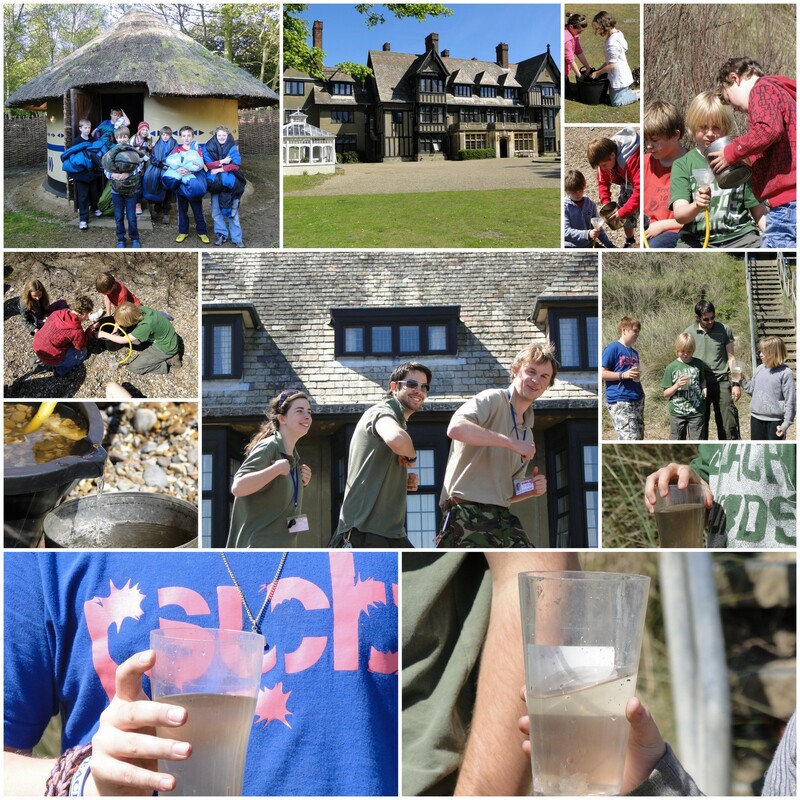 The children collected a range of different sizes of stone and produced a water filter from a bucket, a hose-pipe, a funnel and a piece of cloth. They set about filtering their water to remove most of the dirt. The final step involved a trip back to the village to pour the water through a slow-sand filter. This removed the last of the dirt and made the water clean enough for the staff to drink. 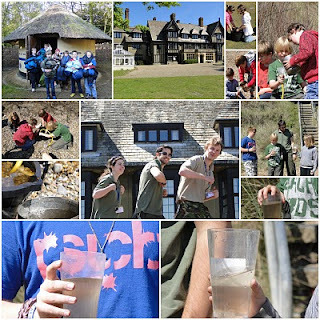 A filter like this costs just £40 and by successfully completing our challenges over the course of the week we were told that our efforts would enable a village to benefit from one such filter, changing the lives of thirty or more Africans. We were left with one final challenge - to see just how many more filters we could provide over the coming weeks. With this in mind we hope to hold some fundraising activities next half-term to help us change yet more lives. 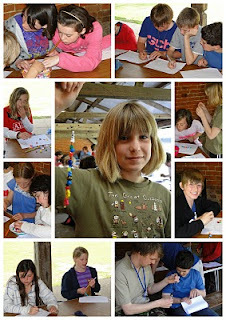 The whole experience has been both challenging and fun and I and all the children have had a fantastic week together. However, all good things must come to an end, and so for the last time, this is Mosuwe, signing off. 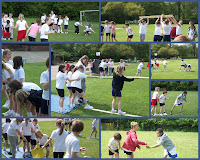 Blue Class made the most of the fantastic weather, and the fact that many children were currently away having an 'African adventure', by taking part in a watery team challenge. 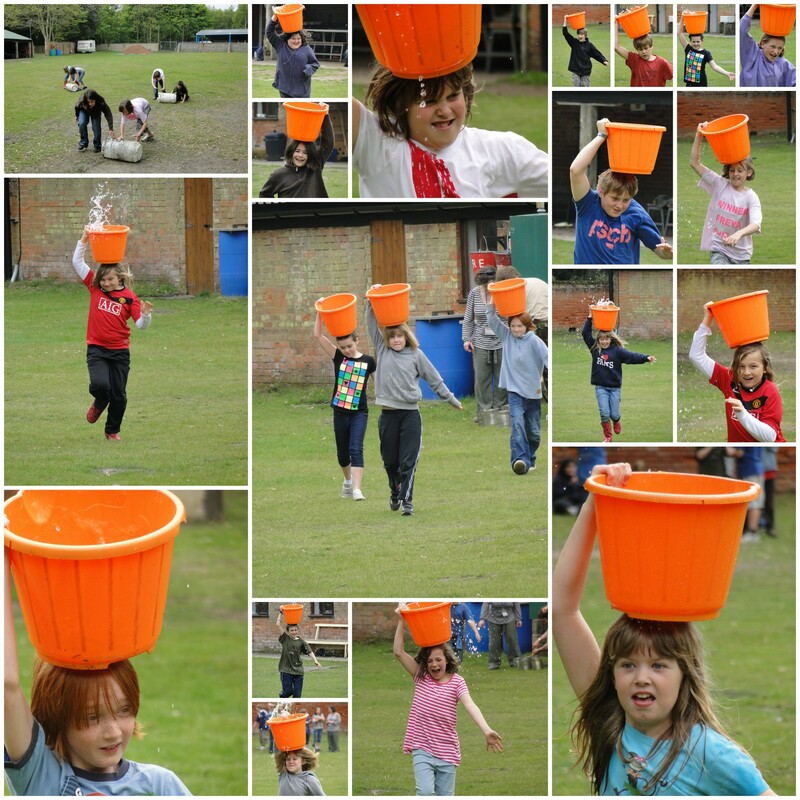 Split into two teams of mixed ages, the task was simple - fill a bucket with the watery contents of a large container at the other side of the field. Sounds simple enough? Well, er, no actually. 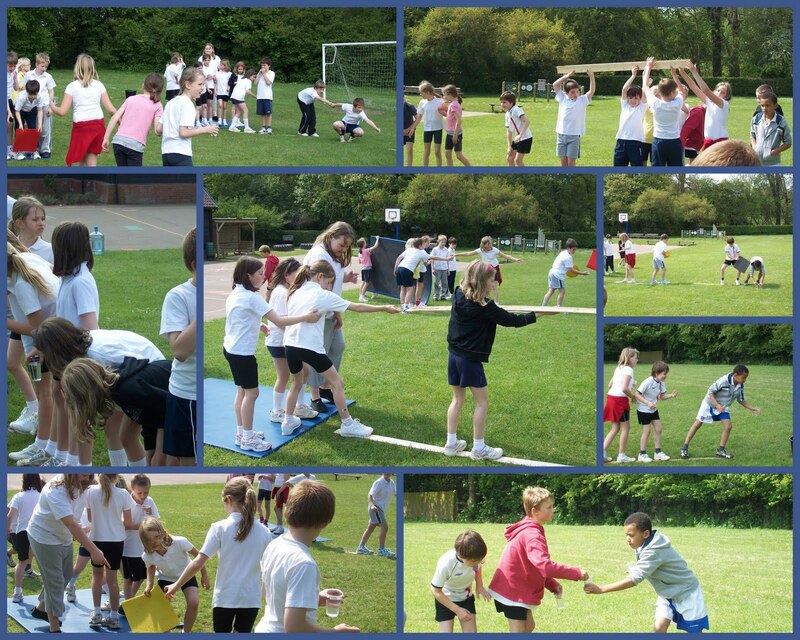 Each team were not allowed to touch the grass at any stage. They only had 3 cups, two very small mats, a large mat and 2 planks of wood to transport the water from one side to another. Combined, these were nowhere near long enough to reach the bucket! A fair bit of consultation and aborted attempts were required before tiny amounts of water gradually appeared in the buckets. Today has been a much more relaxed day. 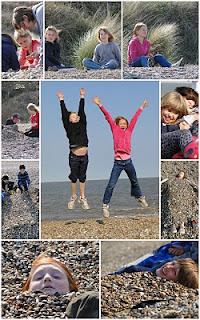 We began the day with a walk along the cliffs and a scavenger hunt on the beach. 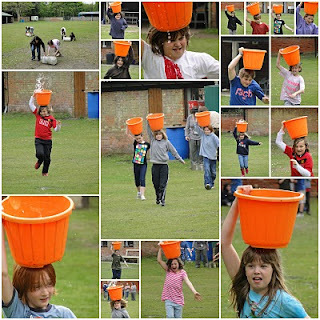 This was followed by a team race in which team members had to carry a bucket of water on their heads to fill their container. They soon discovered that running too quickly left them very wet! After lunch we had a wide game in the woods, hunting for fruit cards which had been hidden by the staff. 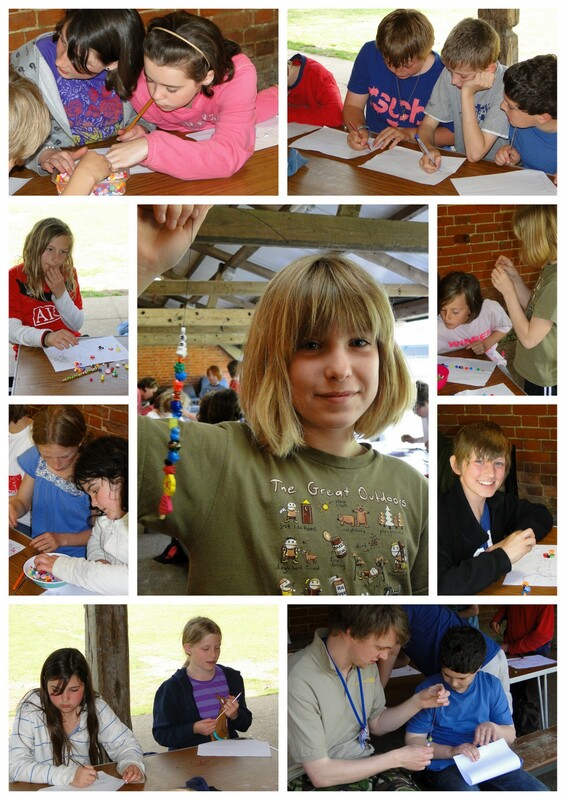 In the afternoon we learnt about an African tradition of making Life Beads and the children made their own bead chains to represent different events in their lives. Shortly before dinner, we began preparing to move into the village for the night! 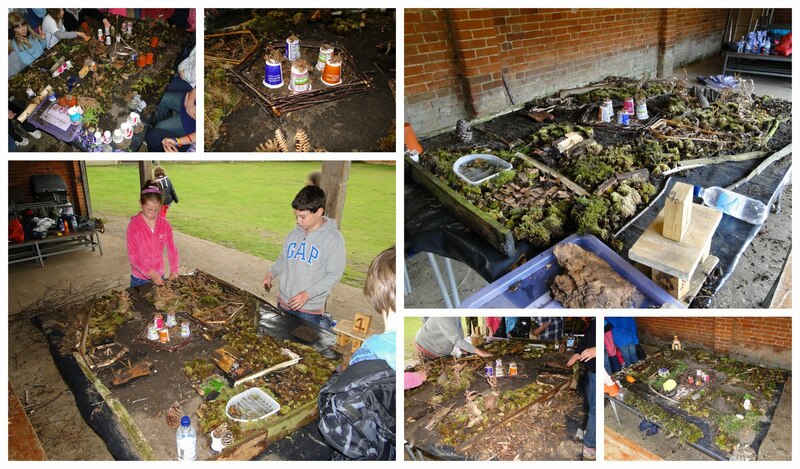 Today the children faced a further set of difficult challenges, which were overcome by working as a team. They began by empathising with the villagers who had escaped the village, by creating their own temporary shelter in the woods. 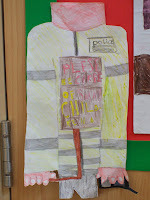 A team leader was elected to organise collections and building teams. The next activity was to build a water-pipeline to supply the village with water. 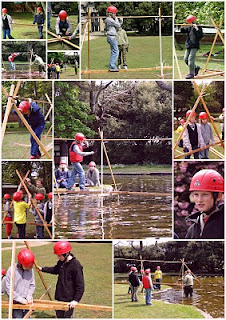 This was a tricky task that needed careful thought to arrange the posts and pipes accurately to allow the water to run. After lunch we considered how many African people have to travel on long journeys to reach help in times of illness, often crossing rivers on rickety bridges. 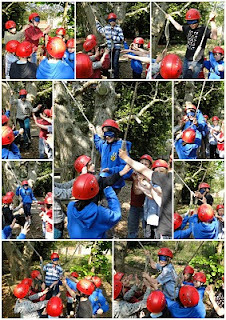 The children worked together in teams, supporting one another on the low ropes course, to help them imagine what such a journey might be like. Shortly before dinner, we headed down to the beach to enjoy the sea air and sunshine. Some children took the opportunity to bury their friends in the stones, while others just enjoyed being beside the water. We are off now to our campfire, so must be going. 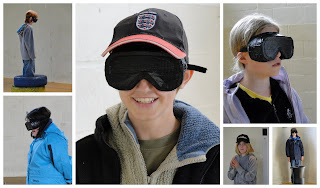 After the trip to the beach yesterday, the children were taken out around the site blindfolded and led on an obstacle course. They had to listen carefully to one another and try to avoid the obstacles despite being unable to see where they were going. 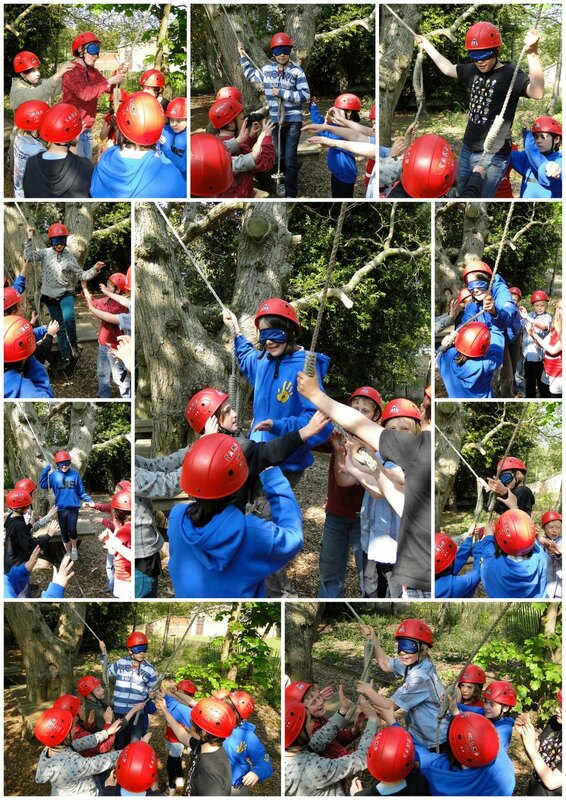 All the while they were "helped" on their way by the instructors with some very important instructions. Day two began with a hearty breakfast and quite a few yawns. After breakfast, however, the teachers fell ill with Typhoid, Cholera and Amoebic Dysentery. The children were given the task of solving various problems throughout the day in order to find the medicine to help them to a full recovery. The group divided up to hunt for their dinner with bow and arrow. Since shooting animals was against health and safety regulations, they resorted to shooting balloons and winning their cutlery for dinner. The next activity involved building a bridge to reach the key to the medical box which had been lost in a flood during the rainy season. 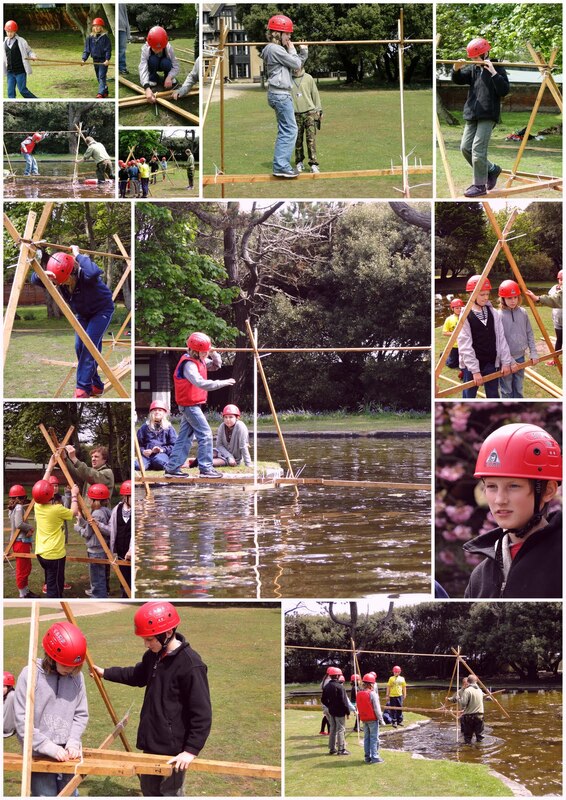 The children had to work as a team to construct a bridge that would bear their weight. Finally, they faced the dangerous task of ridding a minefield of the deadly landmines that had been placed there following the attack on the village. 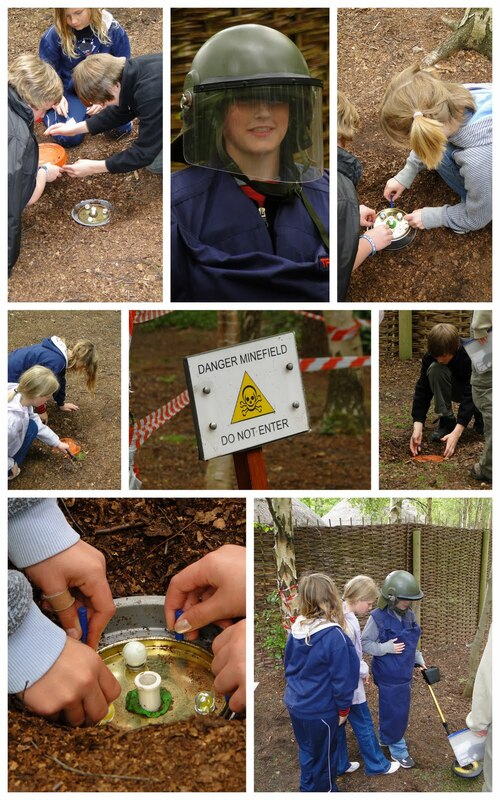 The children split into teams, using metal detectors, brushes and magnets to discover, expose and disarm the mines. I'm pleased to say that all the groups managed to work out where the medical boxes had been hidden and save the teachers from their terrible illnesses. 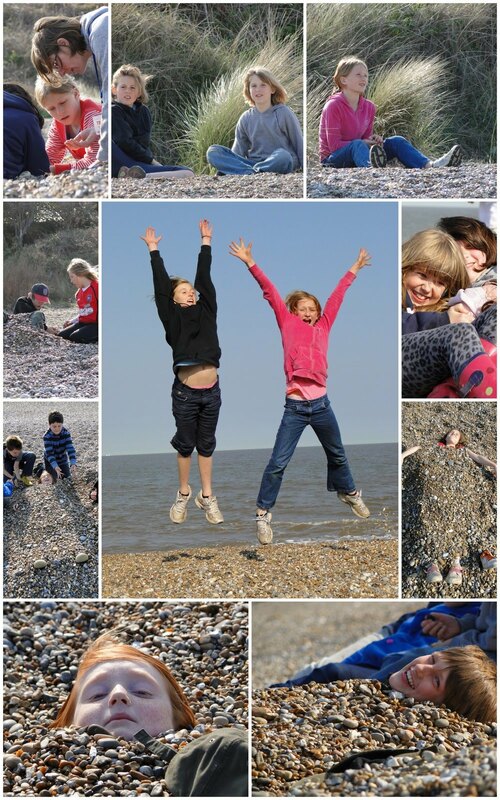 We finished the day on the beach, making the most of the beautiful weather. This morning we were visited once again by PCSO Christian Hassler and Ann Battershill (Road Safety Officer - Education) to judge the competition they recently set. 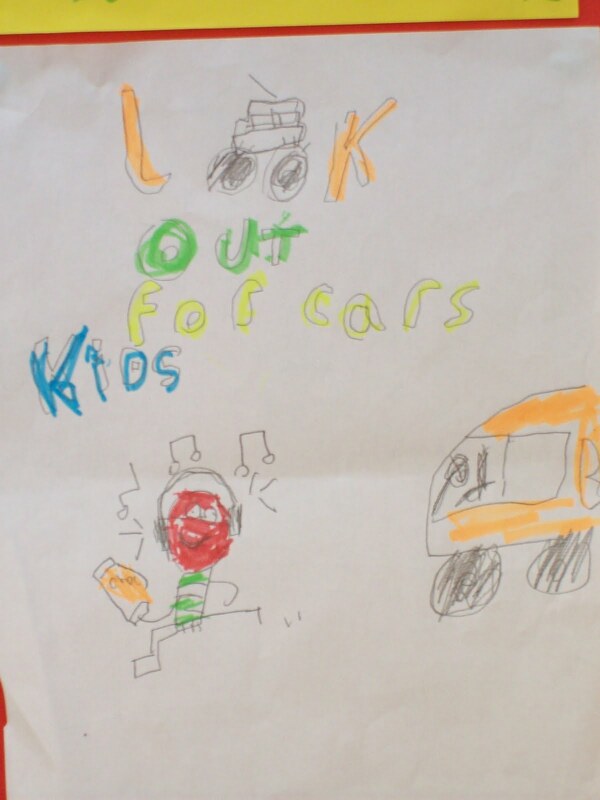 The task was to produce a poster aimed at increasing awareness of the importance of road safety for everyone. 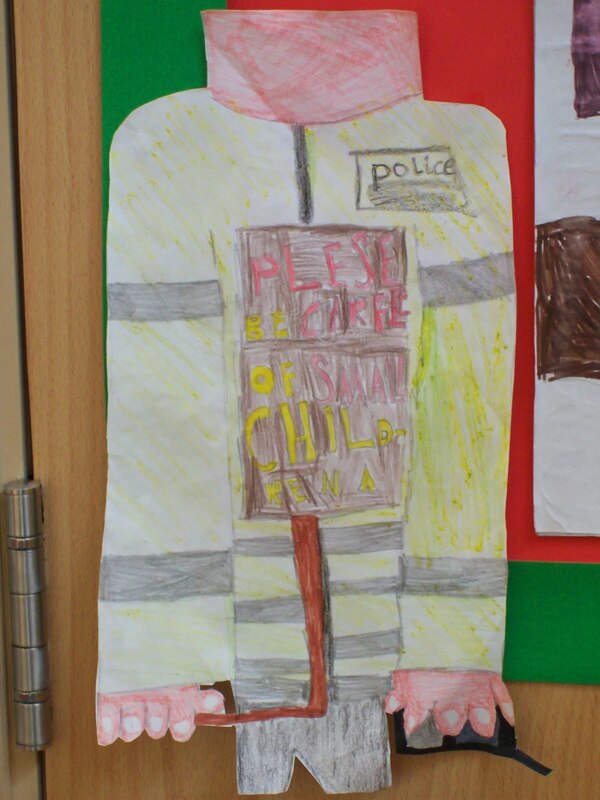 A number of children of all ages entered, with some really fantastic entries - I'm glad that I wasn't judging! 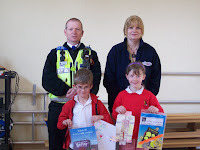 Well done to our two winners and everyone else for their efforts. 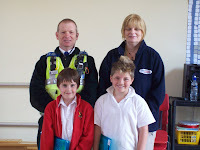 Congratulations also to our two new Junior Road Safety Officers who superbly filled in their application forms. 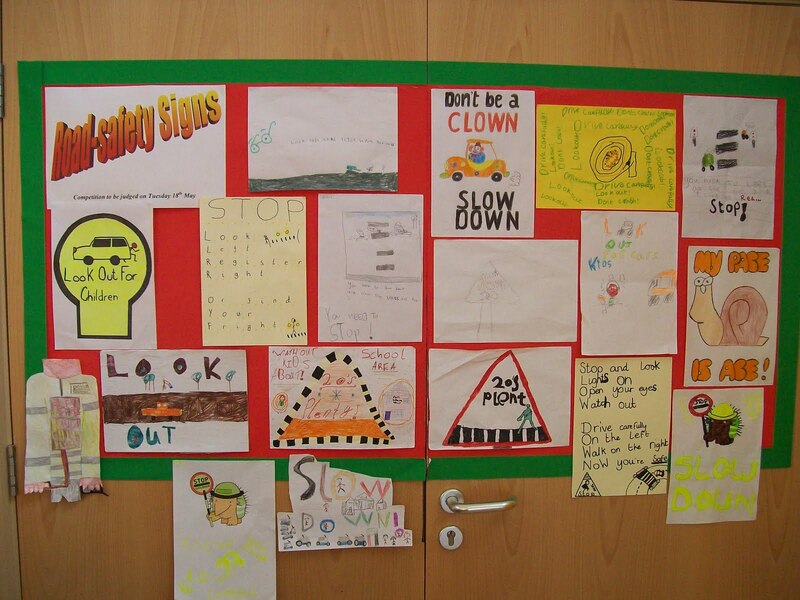 We hope that their work in highlighting road safety makes a real difference. 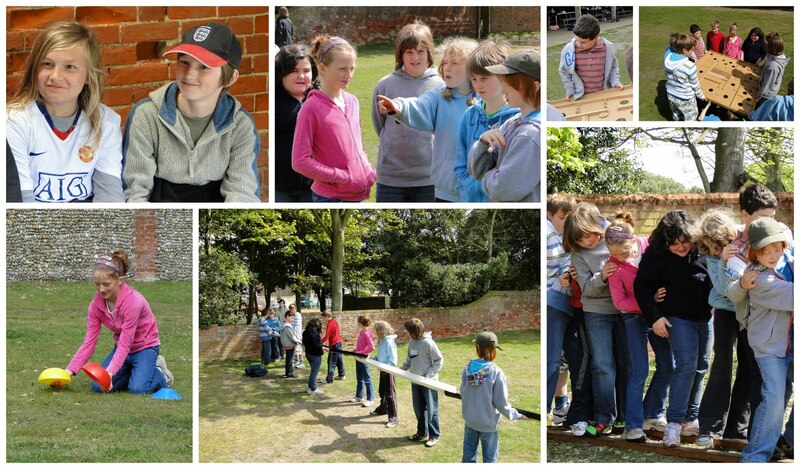 After arriving safely, shortly after 10am, we stowed our bags in the library and began some team games. 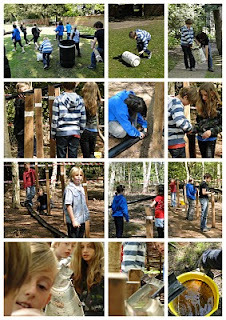 These helped us all to get to know one another a little better and showed us all the importance of listening to one another's ideas and following instructions from an elected leader. 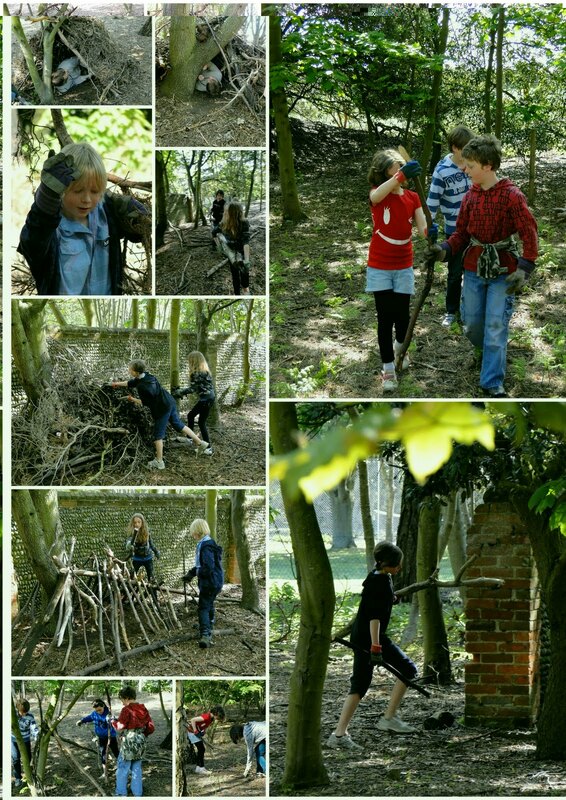 We had a break for lunch in the camp kitchen and then began our afternoon task by exploring the site. We were told that we were an emergency relief team and had to try and work out what had happened to the African Village. 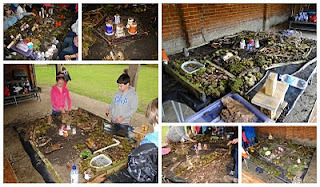 We used our explorations to begin putting together a map made of natural objects that we gathered from around the site. This was interrupted by a torrential rainstorm (must be the rainy season!) so we retired to the sports hall for some more team games and came back to our maps once the weather had brightened up. 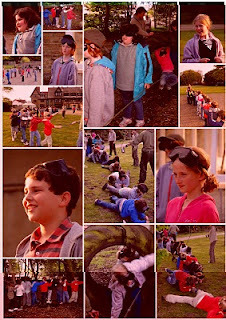 Once a winning map had been chosen, we headed back to Sizewell Hall for a well-earned dinner, which was followed by a quiz. 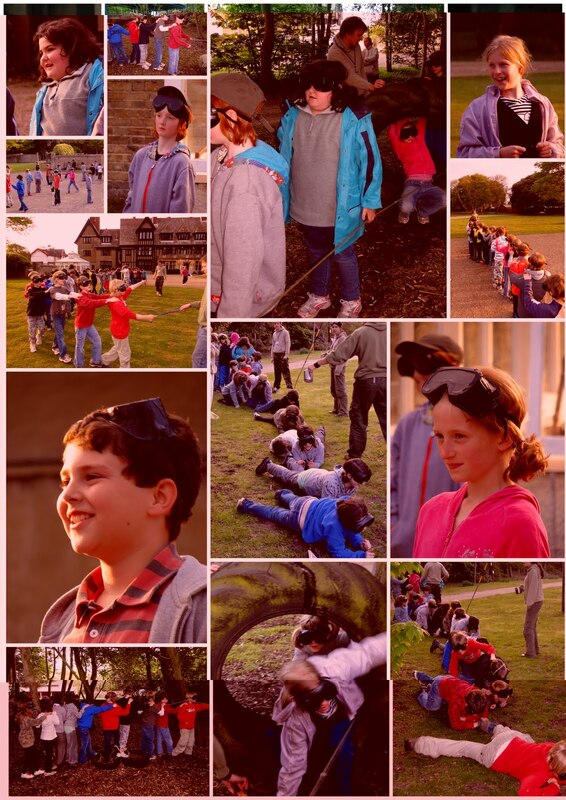 It has been a busy first day, but we have all had fun and are looking forward to some more exciting activities tomorrow. Mr Mansell (or "Mosuwe" - my African name) signing off. On Tuesday 27th April 10 pupils from our netball club set off to Thomas Mills High School to take part in the area netball tournament along with 10 other small schools. During a beautiful sunny morning the team won all 4 of their group matches and so proceeded into the semi-final. This proved to be a very hotly contested match, against Hoxne, who they had already narrowly beaten in the group stages. The match was tied at 1-1 at full time so extra time was played, Earl Soham scoring the only goal in this period. 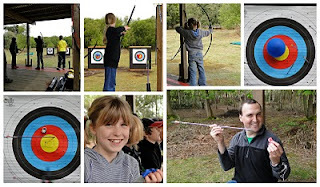 So to the final - versus Wortham - a team who have never appeared in this competition final before, but who impressed everyone with their shooting ability throughout the morning. Through excellent all-round play and teamwork Earl Soham were victorious by the narrowest of margins 2-1. Well done everyone, including Ally and Jennie for coaching.